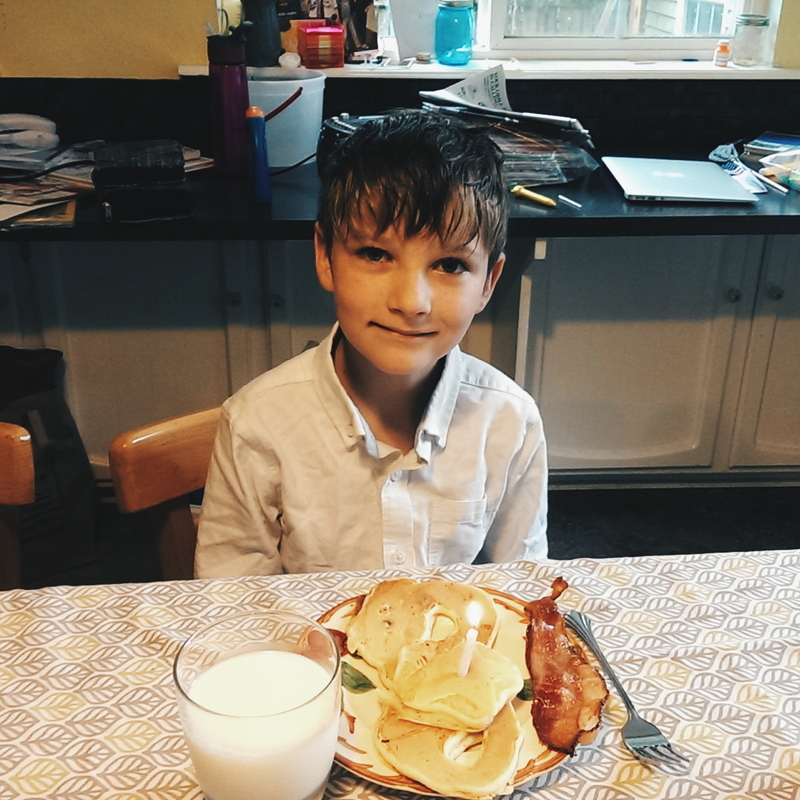 William woke up yesterday saying, “today is the last day that I will be seven!” He’s the biggest schedule-keeping, bean-counting type of person in the family, so it’s no surprise that he’s been keenly aware of just how many days (hours, minutes) were left until his birthday. This pretty much required a trip out of the house. 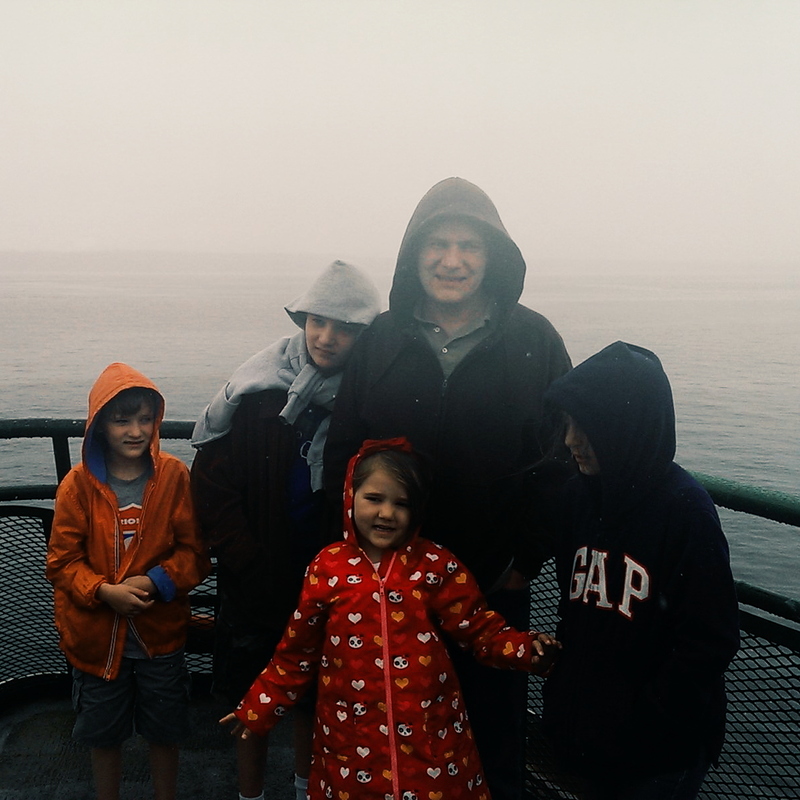 Once a summer, I like to take a walk-on trip on the Edmonds ferry and get ice cream in Kingston. A friend commented on how “dewy” we look in this picture. But the weather cleared up when we reached Kingston. The town of Kingston is about the size of a peanut, but it manages to have three ice cream places plus a French crepe place. Our favorite place for ice cream is called Mora. My friend Liz (whose husband is from Uruguay) recently correctly identified Mora as a South American-style ice cream place, hence all the dulce de leche and chocolate shavings. Brian and I both dozed off and on during the boat ride home. 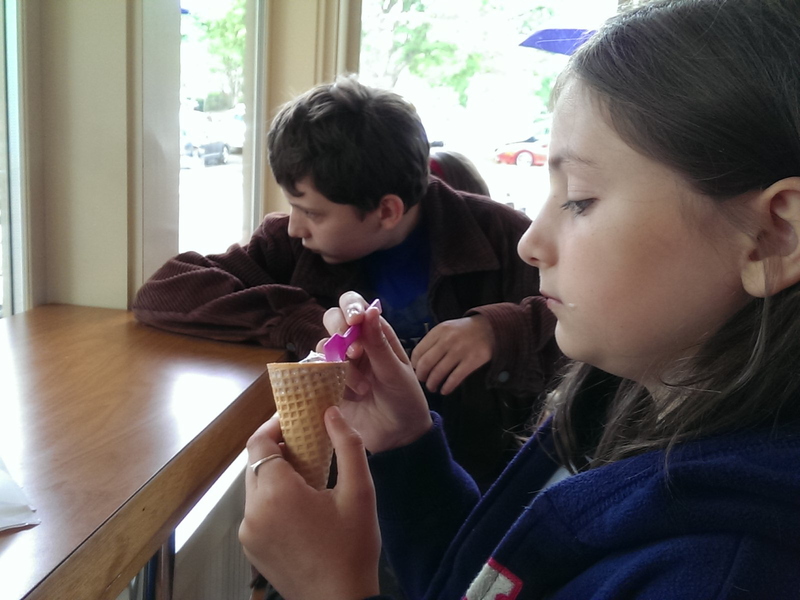 You wouldn’t think eating ice cream would require so much energy, but such was not the case. 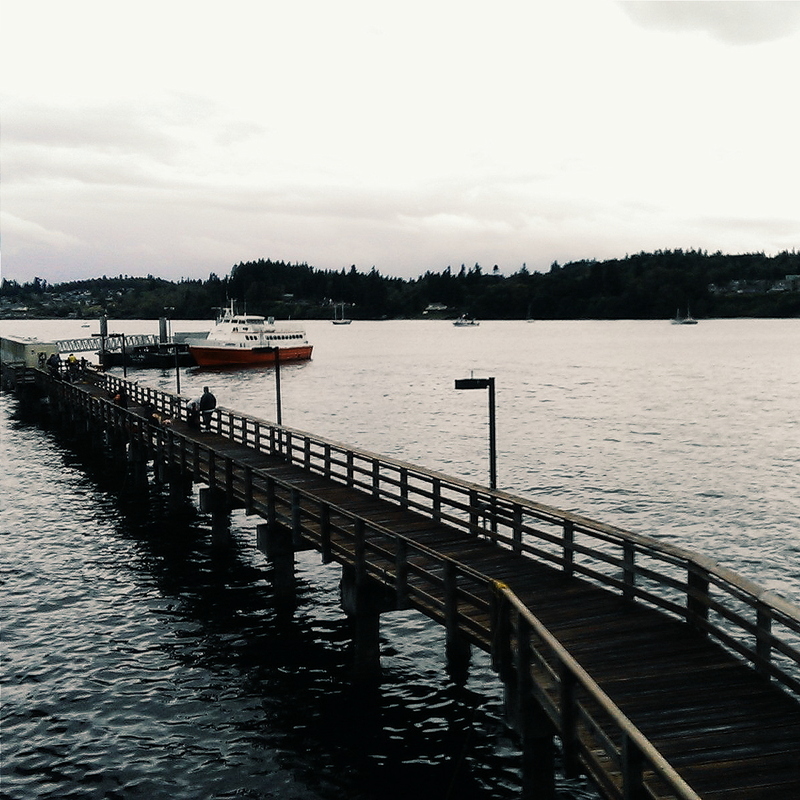 I loved this little red boat I saw at the Kingston marina. 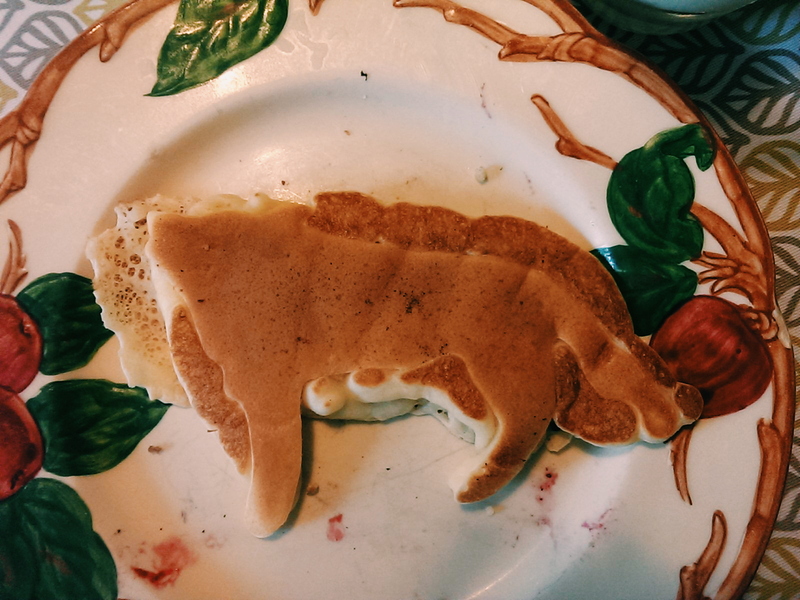 She also experimented with using cookie cutters to make different animal-shaped pancakes. It’s a wolf! Eleanor considered it “too beautiful to eat,” so it currently resides in the freezer. After church I made him a chocolate fudge cake. 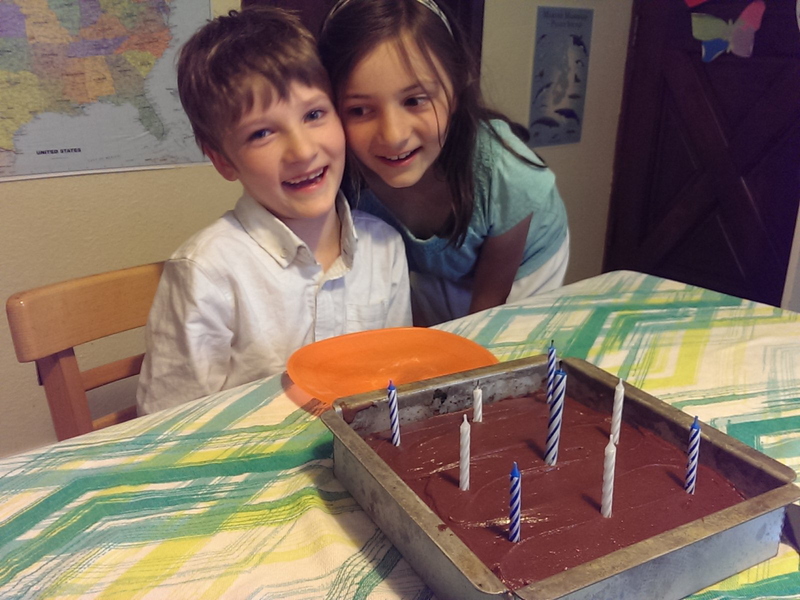 Katie blew his candles out twice before he got chance to do so. So, the “Happy Birthday” song was sung with a reprimanded Katie wailing in the next room. 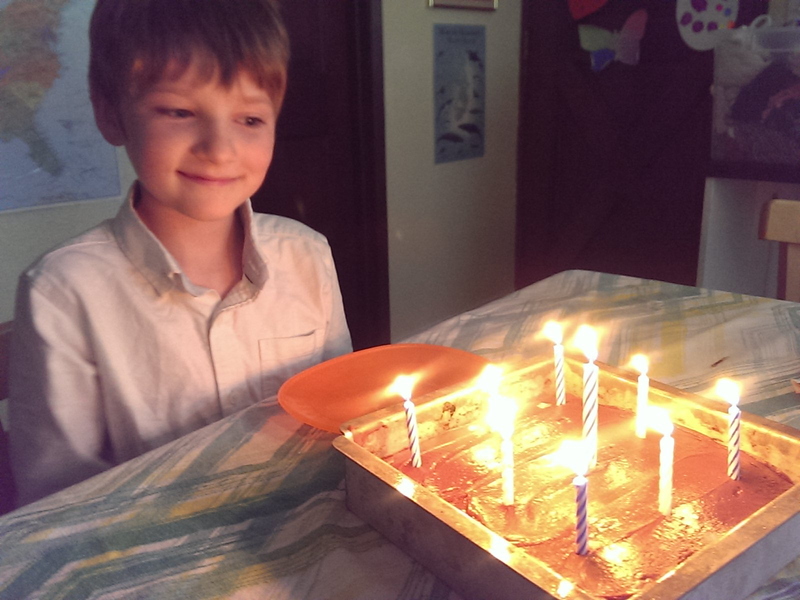 We will be holding his official birthday party next weekend, but it was nice to observe the official age today. With a bean-counter in the family, there’s no other way to operate!